We supply high quality seeded lawn turf in Norfolk all year round. We are a long established family run company, growing turf for over 15 years. During this time we have built up an outstanding reputation based on our exceptional service and high quality turf. If you place an order before midday, you can have your turf supplied in Norfolk, the next day. To get an instant quotation for a turf delivery in Norfolk, use our calculator at the top right of the page. Just enter the amount of turf that you require, along with your postcode. Our Premium Lawn Turf is cut in the preferred 24" wide rolls. We harvest the turf with a high tech, one man operation turf harvester that cuts 24" wide rolls. 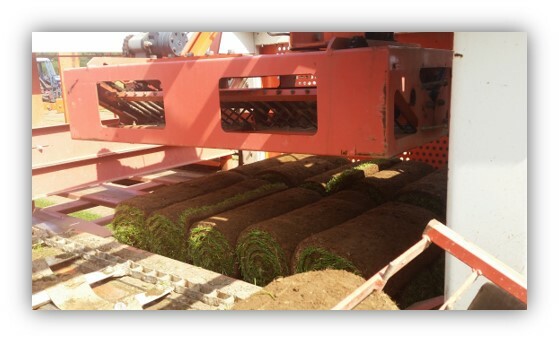 The floating head ensures consistent turf and we change our blades regularly so that the edges of the turf are not torn or stressed. 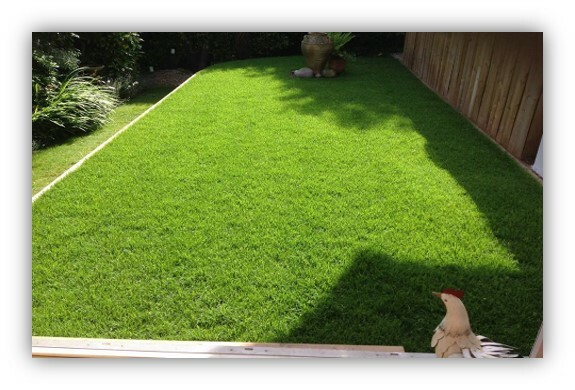 Our Premium Lawn Turf is grown to a very high standard. It is grown from a seed mixture that we select. It is grown to be Durable and Hard wearing as well as very nice in appearance. It is perfect for any domestic garden or area. Low maintaince. For any further advice you may need, please give one of our turf experts a call. If you would like to place an order, you can do so instantly online or alternatively give us a call.